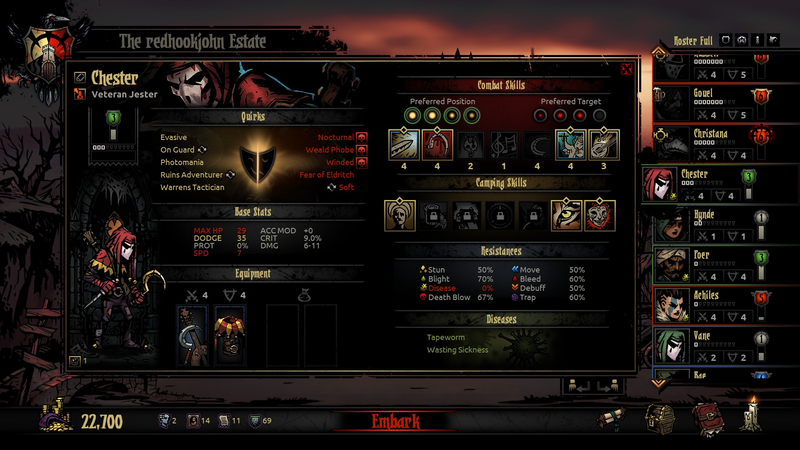 About Red Hook Studios Inc. 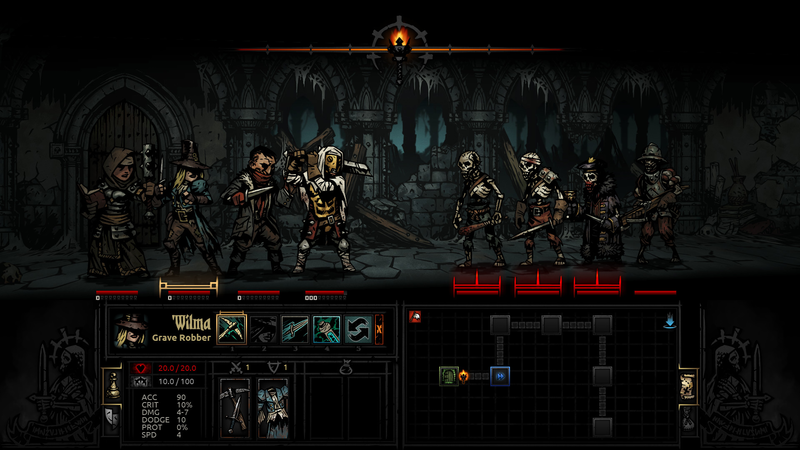 Manage a team of heroes through the physical and mental stresses of adventuring. 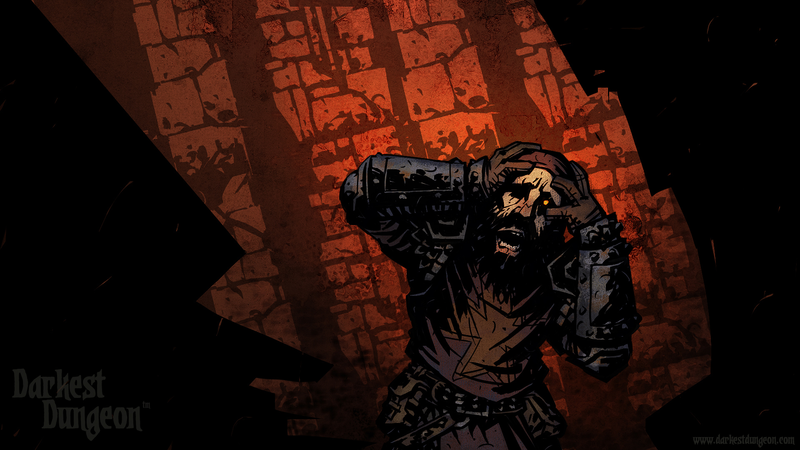 Try to stop paranoia, greed, anger, hopelessness, and more from crippling the party. 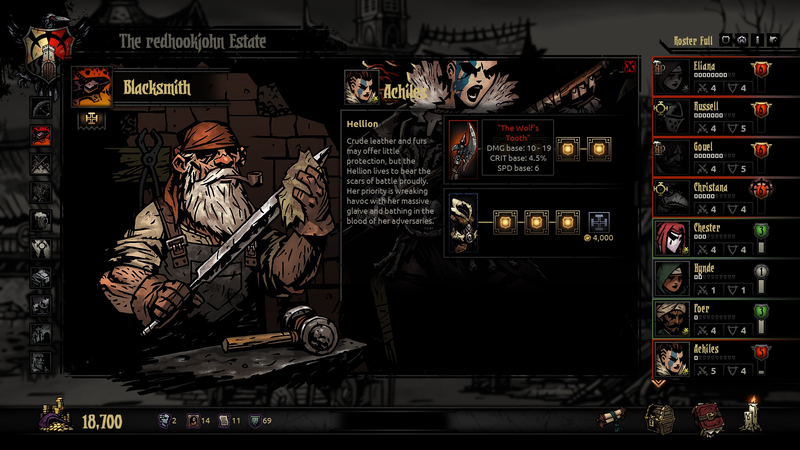 Affliction System: Make the most of character flaws and strategically construct your party to overcome hardship. 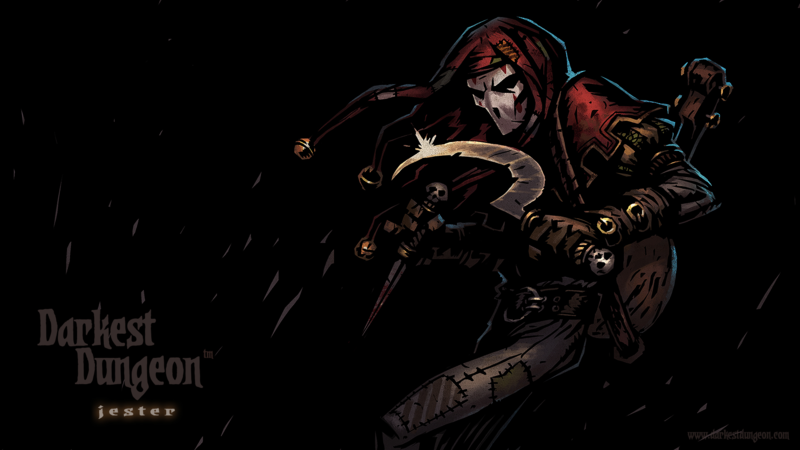 Original score by Stuart Chatwood, composer for eight "Prince of Persia" games and founding member of multi-platinum Canadian rock band "The Tea Party." 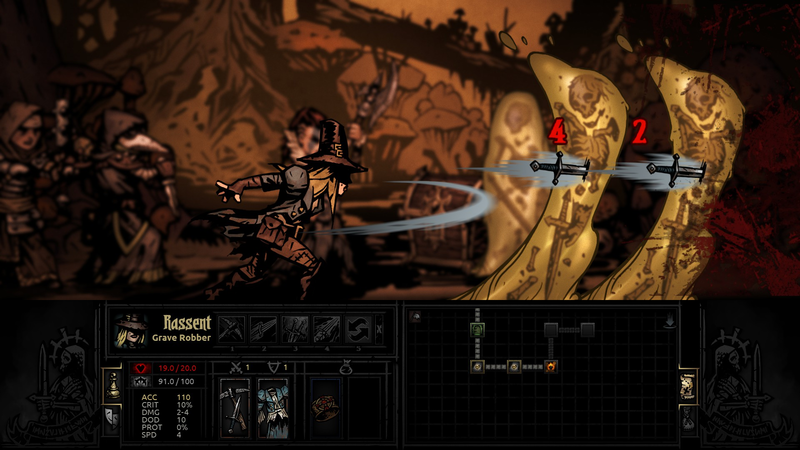 Meaningful consequences and permadeath deliver heightened tension and provide for truly heroic moments. 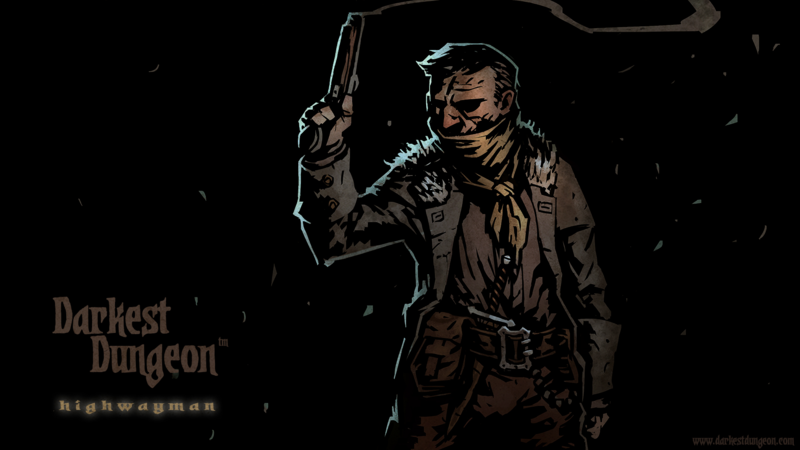 A Lovecraftian-inspired story of greed and redemption. 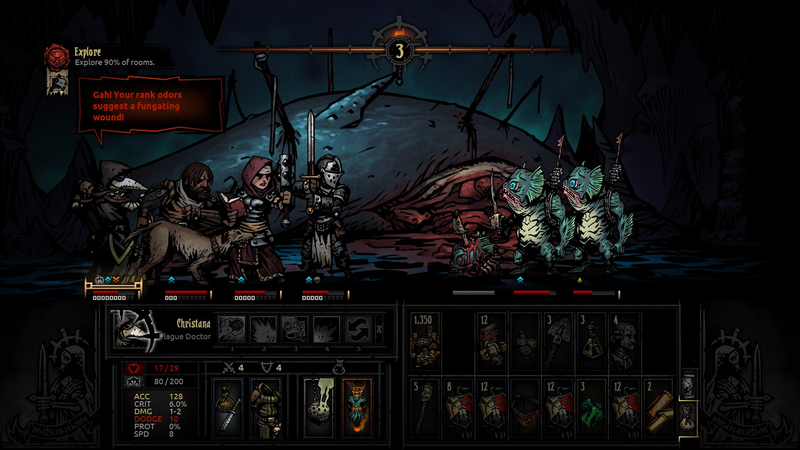 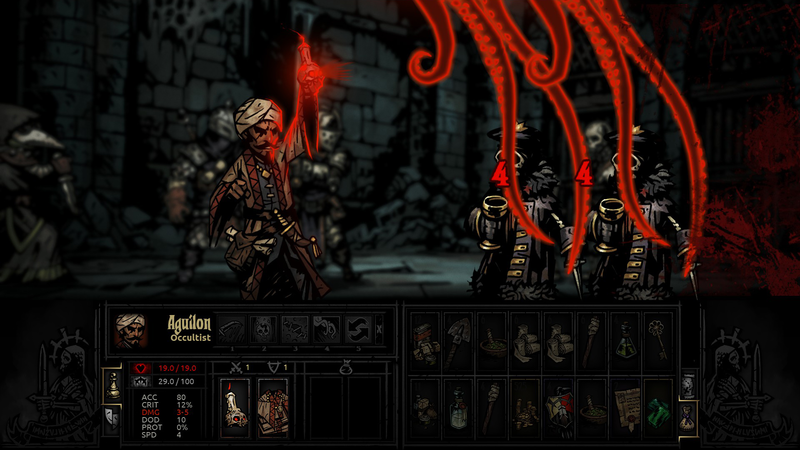 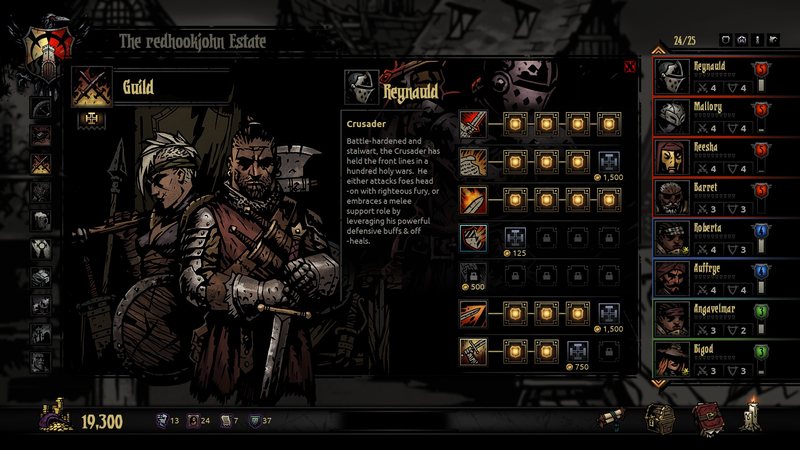 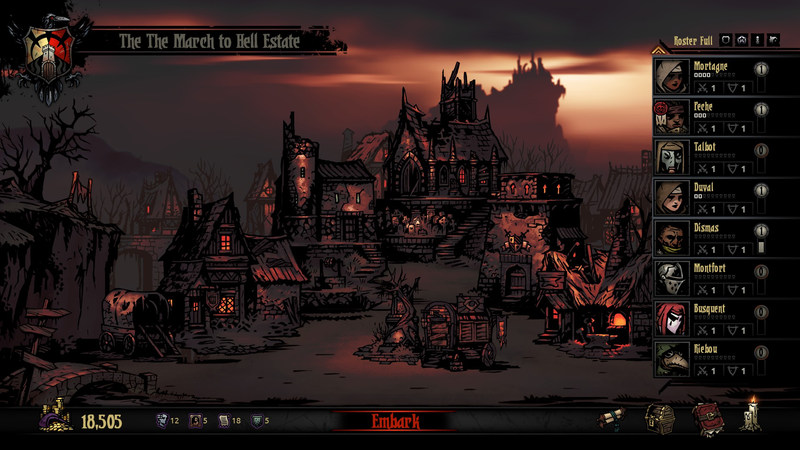 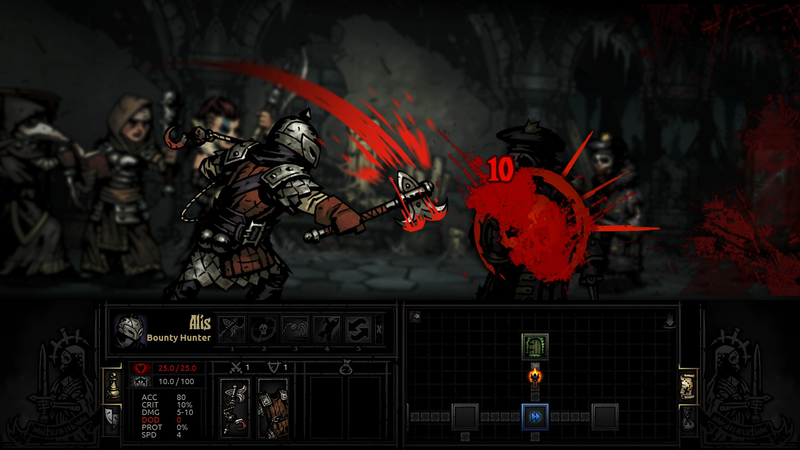 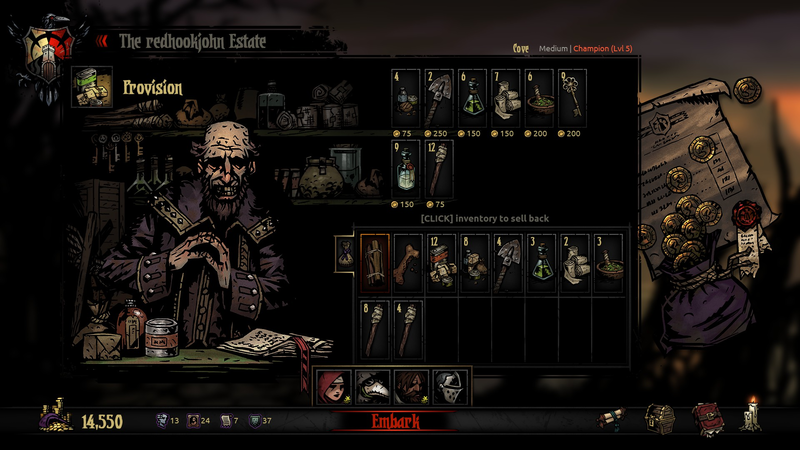 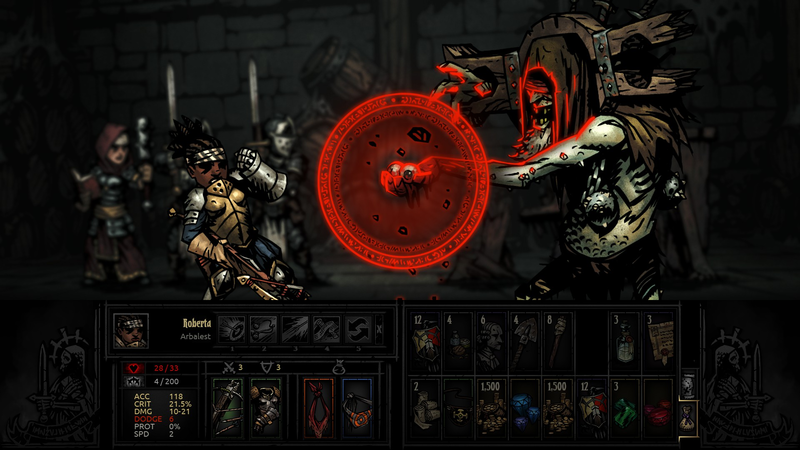 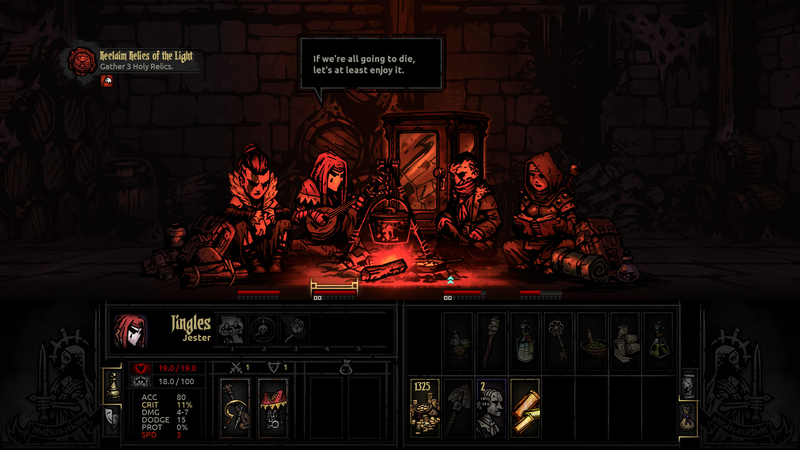 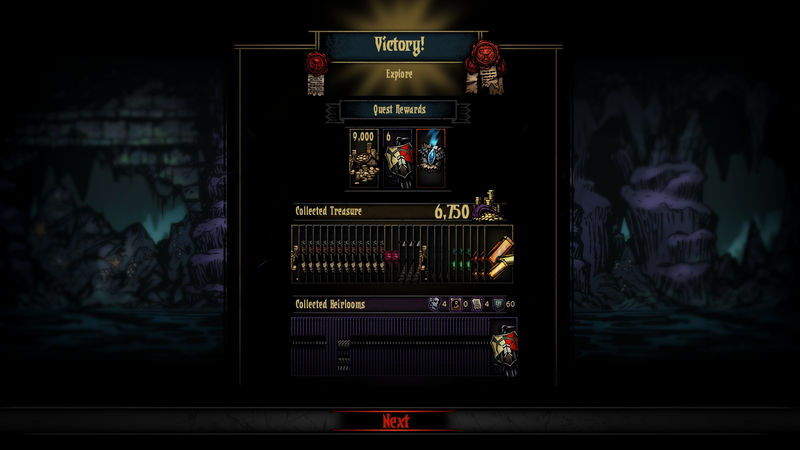 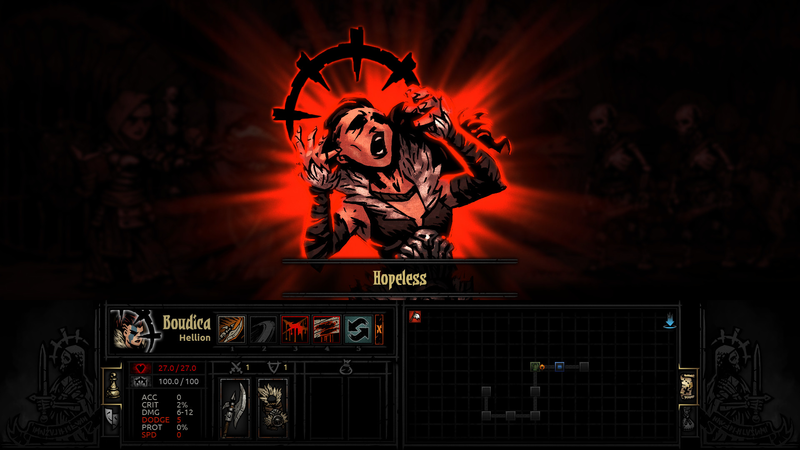 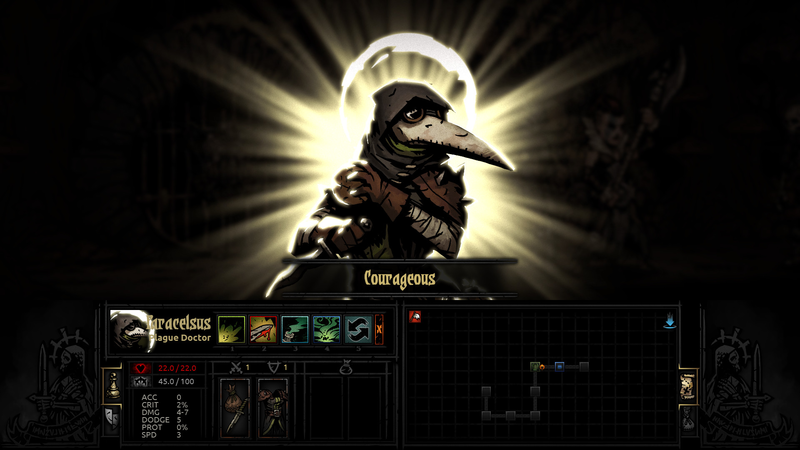 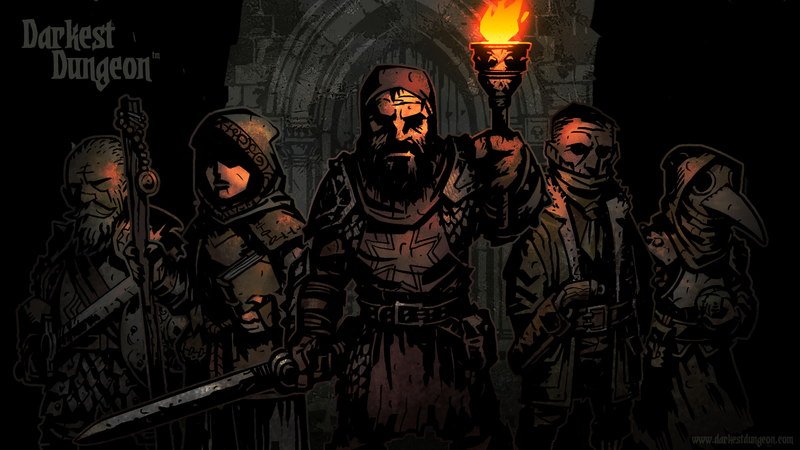 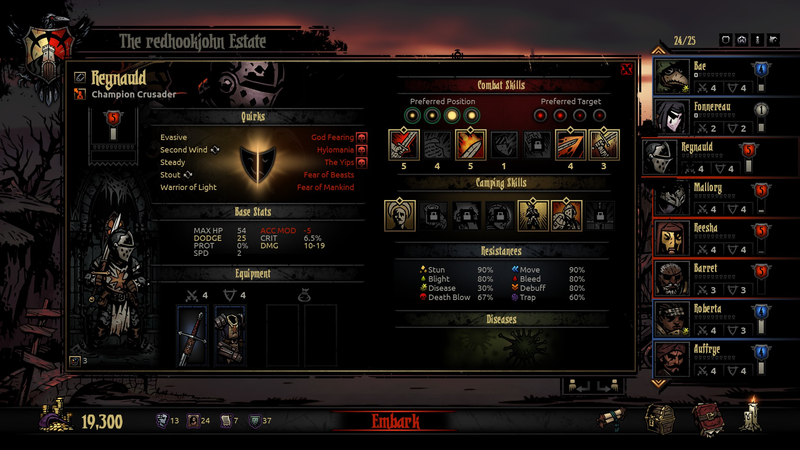 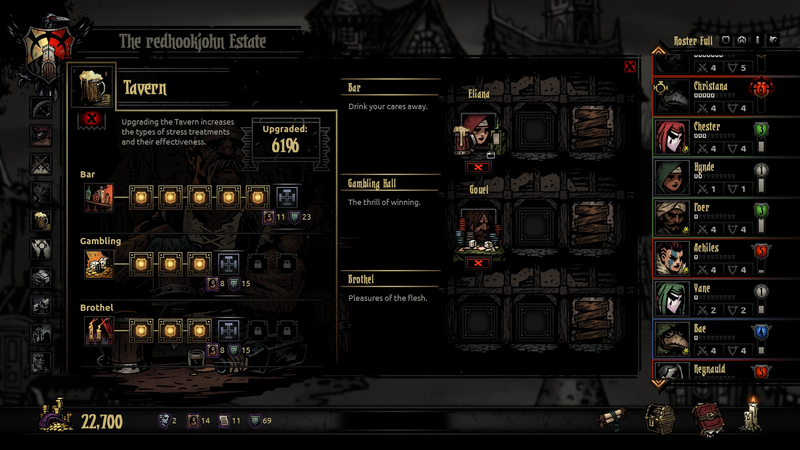 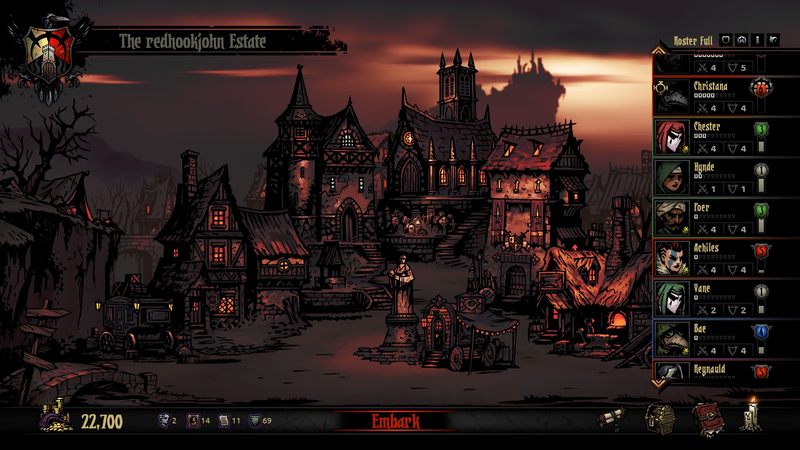 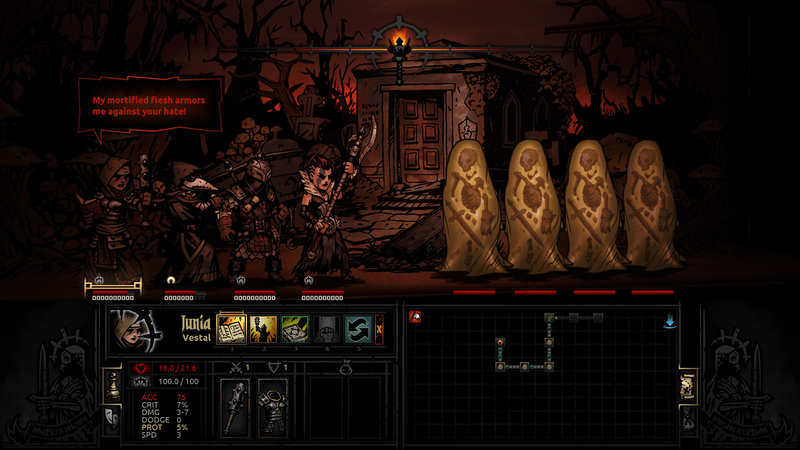 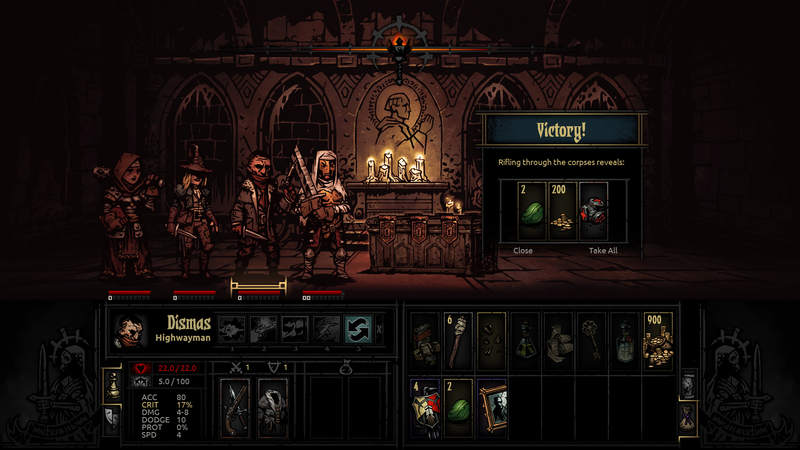 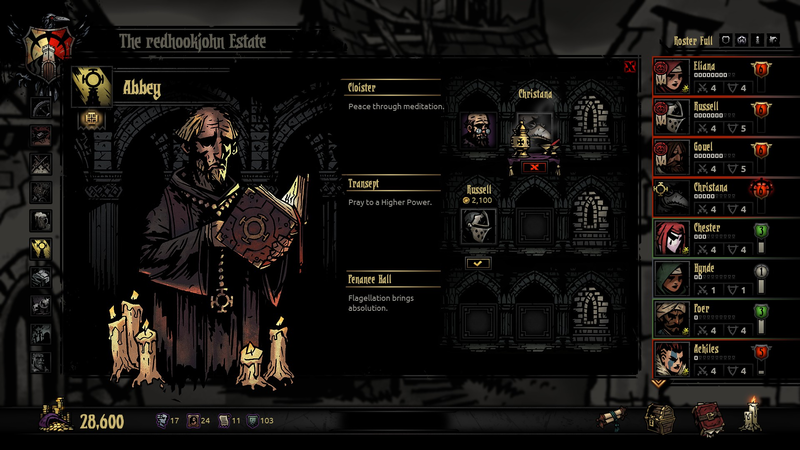 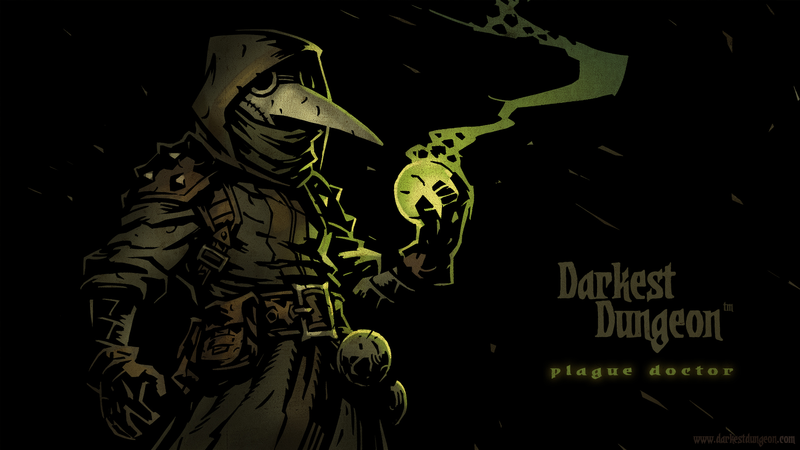 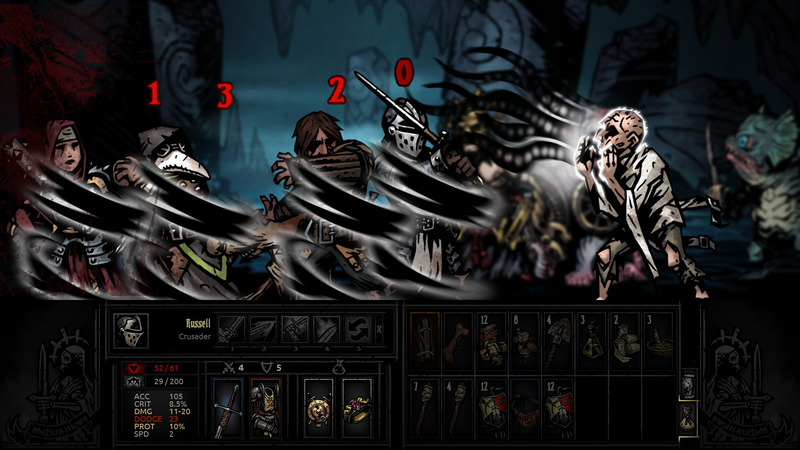 Red Hook Studios Inc. allows for the contents of Darkest Dungeon to be published through video broadcasting services for any commercial or non-commercial purposes. 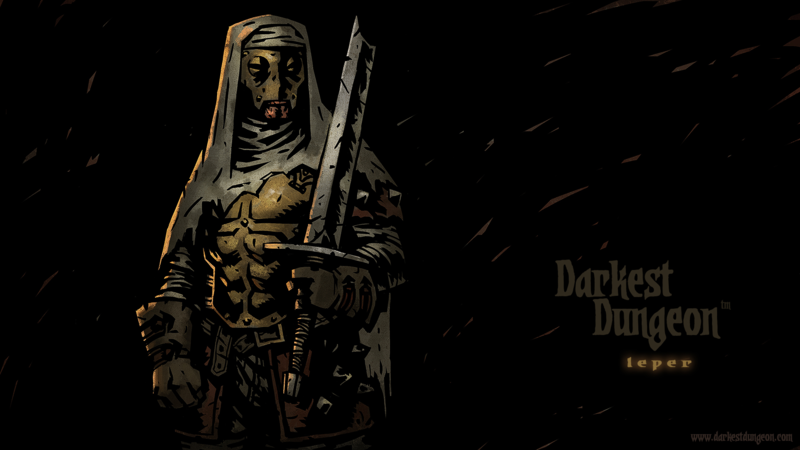 Monetization of videos created containing assets from Darkest Dungeon is legally & explicitly allowed by Red Hook Studios Inc.. 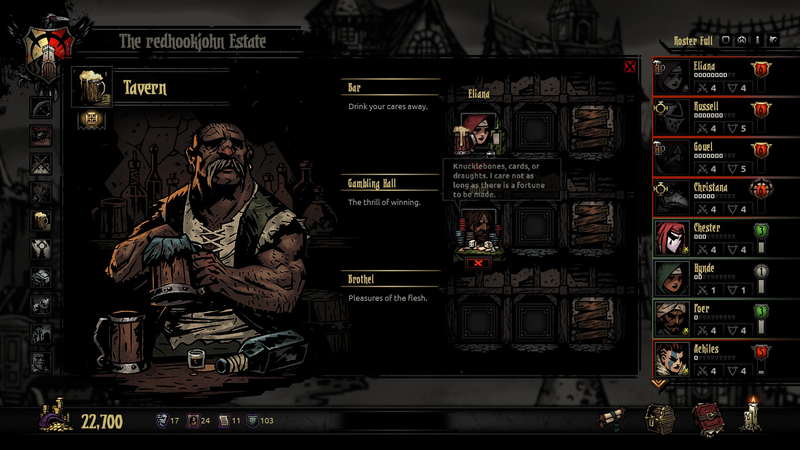 This permission can be found in writing at http://www.archives.darkestdungeon.com/press/sheet.php?p=darkest_dungeon. 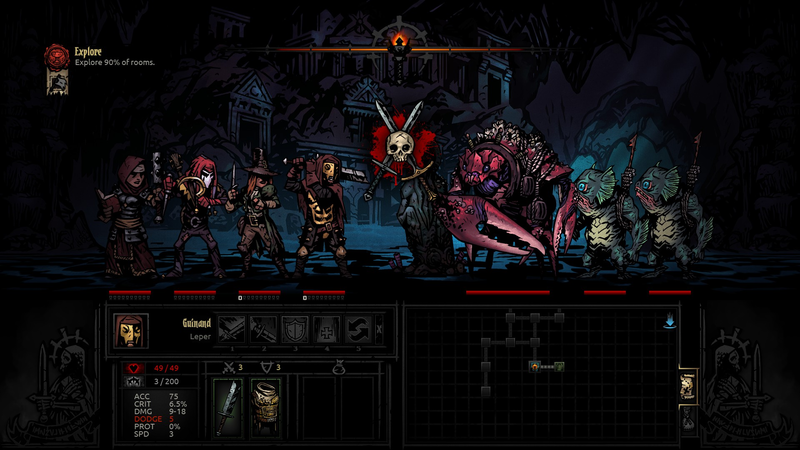 Chris Bourassa's talk from GDC 2016 on the creative direction used for Darkest Dungeon. 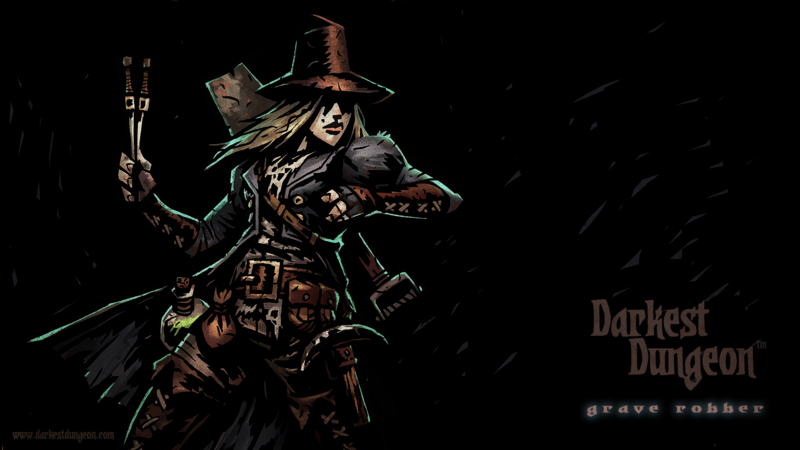 gdcvault.com. 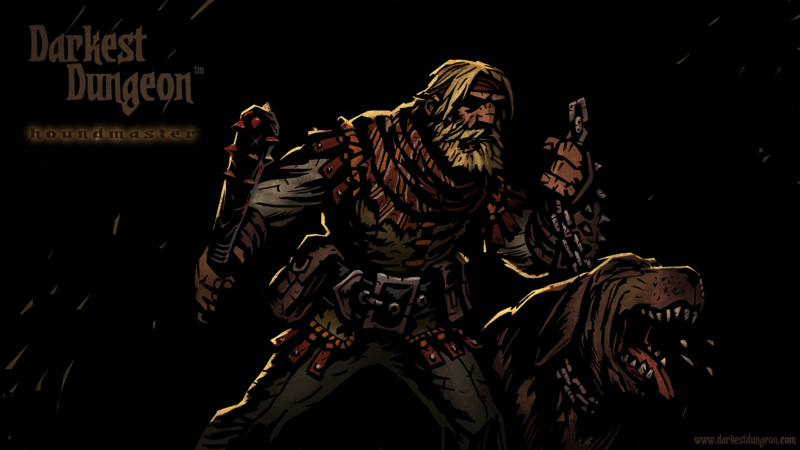 Feature reveals, media, and more at the official DevBlog darkestdungeon.com. 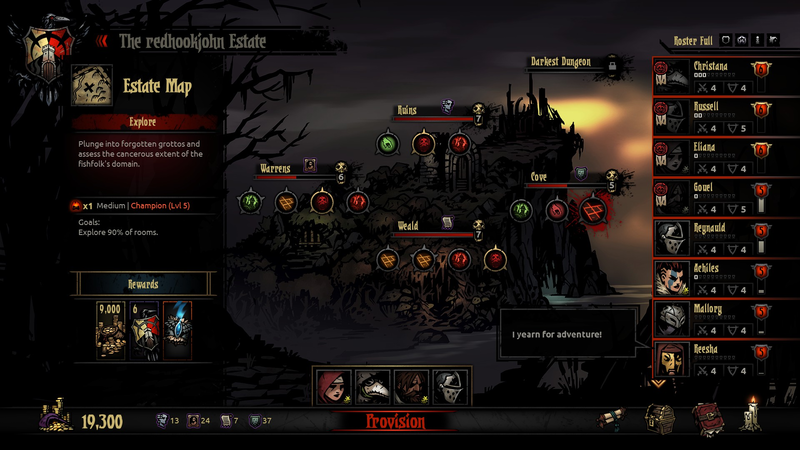 More information on Red Hook Studios Inc., our logo & relevant media are available here.